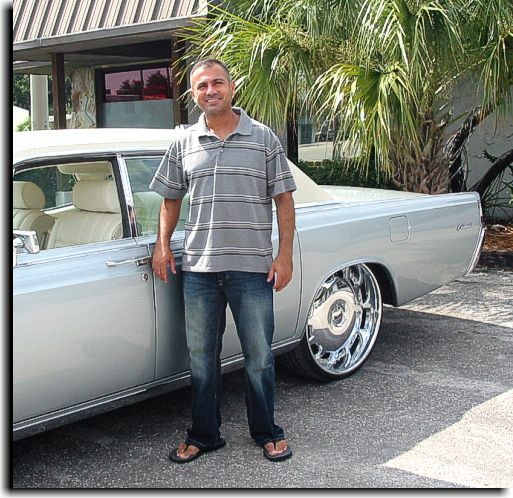 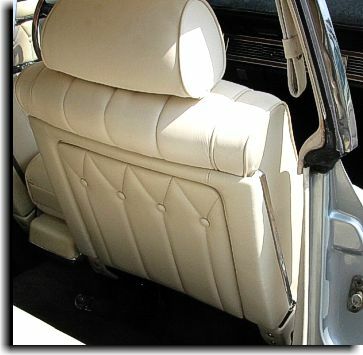 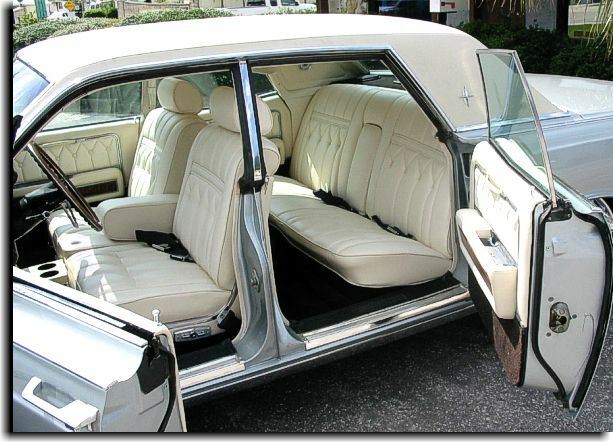 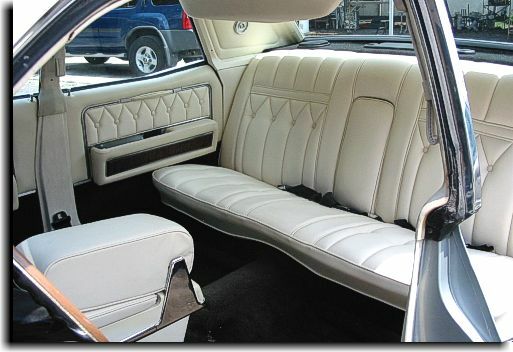 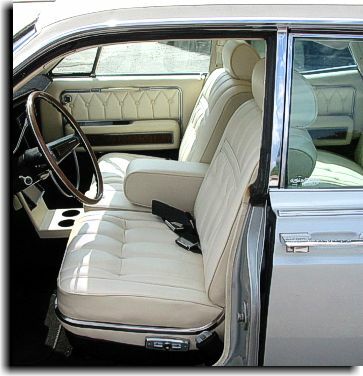 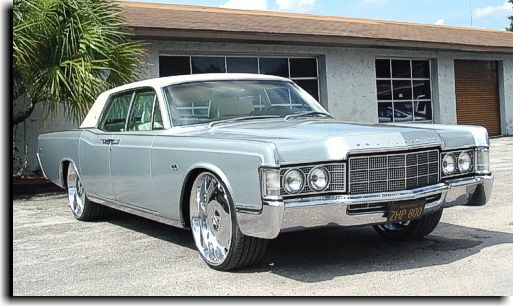 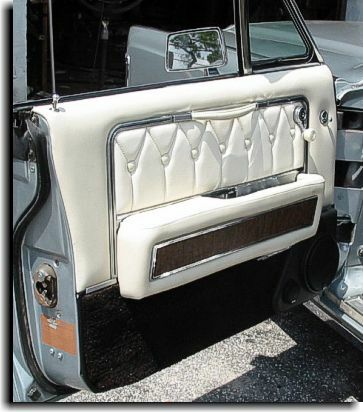 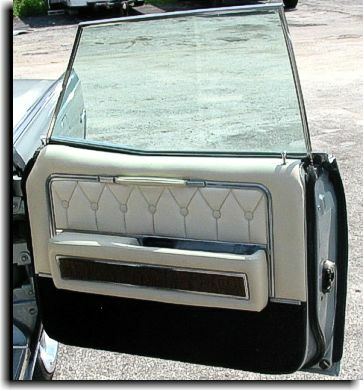 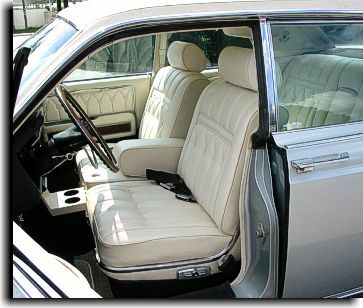 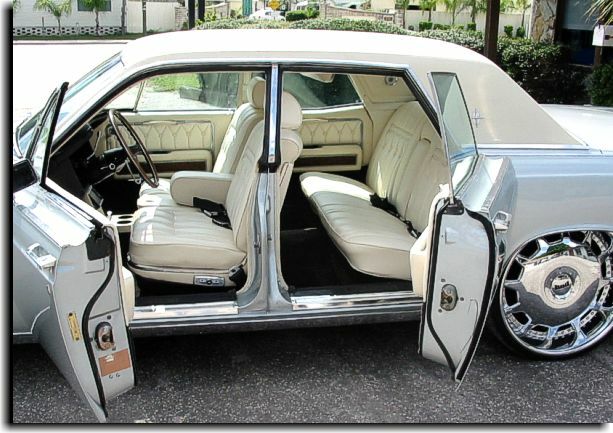 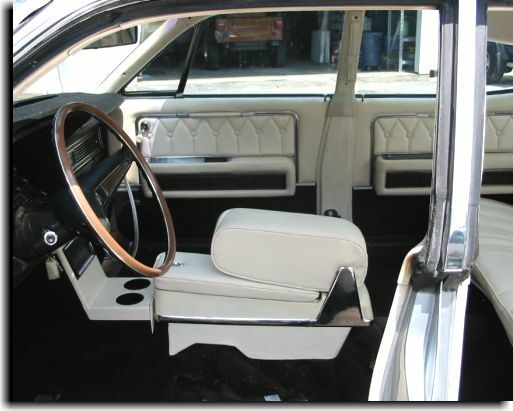 This was a very extensive upholstery project for Mr. K of Tampa, FL for his 1969 Lincoln Continental. 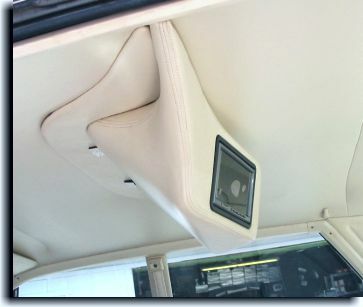 Mr. K had a request for DVD players in the ceiling for his kids when they sat in the rear seat. 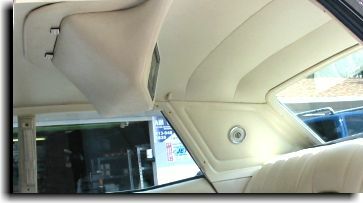 Working with a local stereo shop, Catalina Custom finished the unit that housed the players and installed a headliner to finish the ceiling. 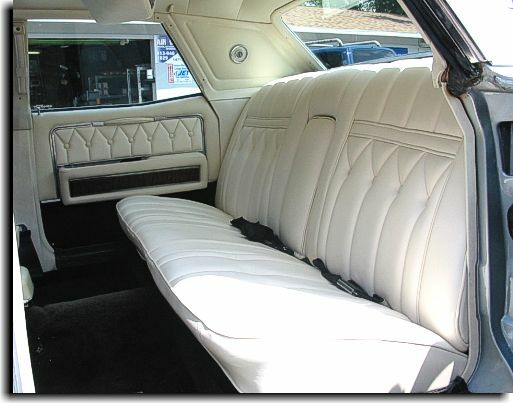 The seats and door panels were done in original design using a combination white UltraLeather HP for the facings of the seats and a matching vinyl for the trim and door panels.